Very interesting new development from AEG in the e-bike market. A crank-based system. Not been a fan of push or pull hub motors with the exception of the Turbo because it’s so refined. The StokeMonkey was the best we’ve used. All we have to look at here is renderings and a press release, but I’m intrigued. As I’ve said, there’s a market for e-bikes in the States, they’ve just got to make one that’s cool and not the same thing Iacocca tried to sell us. To the point of being cool, the Faraday has been a gadget blog juggernaut this week including relentlessly pinging us. They’re asking Kickstarter for 100K worth of pre-orders and selling a $3,500 bike that weighs over 40 pounds with a battery that’d fit in your skinny jeans. Expect it’ll get funded. 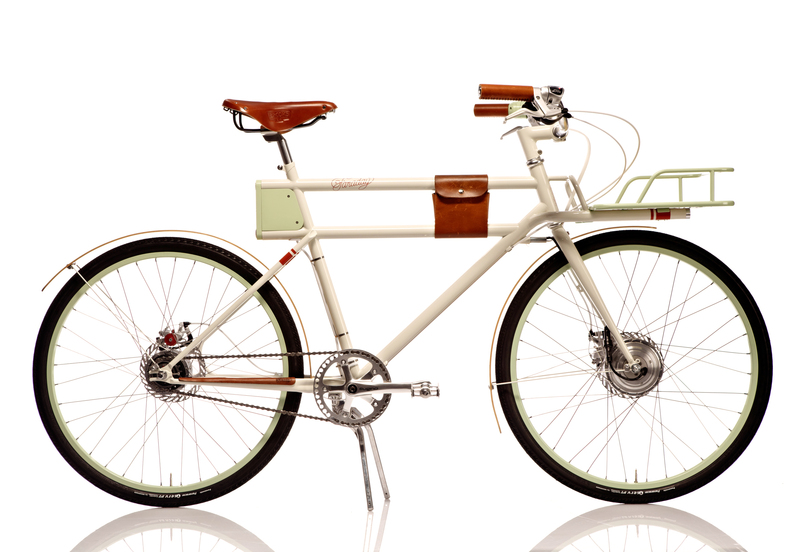 It does look great, but I hesitate at an unproven e-bike, purchased direct. Can’t say much more without riding it. But do you want to beta test a new-to-market e-porteur? How does it handle? Will it get you up a hill? Donate to find out. As I said, enthused but also hesitant. I do know that without Kickstarter, this bike probably would never get made; except for display at the Handbuilt Bike Show or Oregon Manifest. Earlier in the year, we helped Mission launch their Sutro. Note we’ve got no financial interest in the Sutro project just blogged it, but like Faraday they asked Kickstarter for pre-orders.